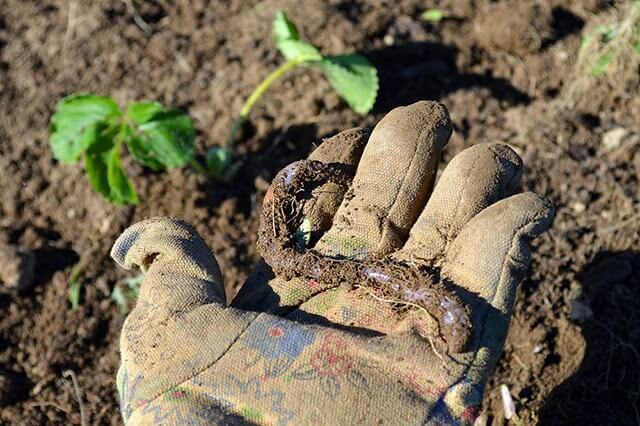 I think I counted about ten earthworms at my allotment plot last year. Though strange, I figured that with all the digging and organic material I was adding to the soil that it wouldn’t be long before worms would be spilling out of my beds. But it’s now the beginning of June and I can honestly say that I haven’t seen a single worm on my plot this year. Others noticed the absence of worms on their plots too and one member even decided to delve further into this mystery. As a result, we at the allotment have just been given the bad news of an unwelcome foreigner in Laxey. Though suspected last year, DEFA have formally identified that we have the New Zealand Flatworm on site. Favouring cool and wet climates, flatworms emigrated from New Zealand and made themselves at home across the northern British Isles. 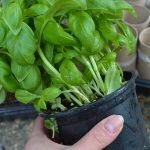 They’re generally brought in to peoples’ gardens by plants purchased from gardening centres or from plants given by friends and neighbours. Flatworms lurk in the root-balls of potted plants or even stuck to the bottom of the pots — they spread from there like wildfire. If even one gets on your land you can expect an entire population to descent from it. New Zealand Flatworms are asexual and so don’t need to mate to lay their little blackcurrant-like eggs. I suppose the good news is that this pest is carnivorous and so it doesn’t directly eat or damage our plants. The really bad news is that they can devour so many earthworms in a particular area that the result is water-logging and compaction of the soil. Their worm-bingeing can also lead to a lack of food for other wildlife such as birds and hedgehogs. 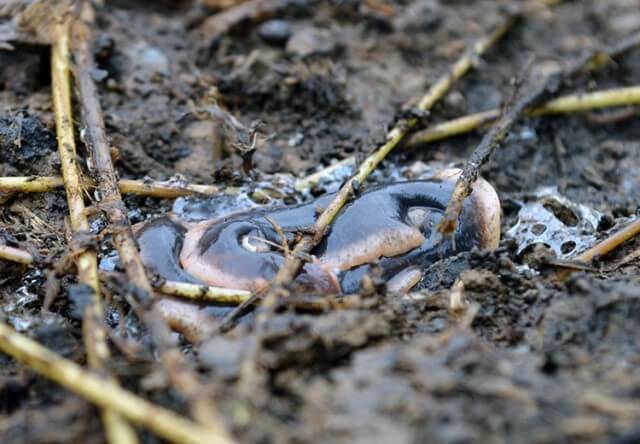 With each flatworm gobbling up several earthworms per week, tending to target the biggest ones first, their feasting can be so terrible that it can cause targeted extinctions of Earthworms as seen in parts of Northern Ireland. Total eradication of these pests is nearly impossible once they’ve gotten a foothold but they can be killed on an individual basis. Each plot-holder will from now on keep a small container filled with rock salt handy and toss any flatworms that they find inside. Hopefully with each plot keeping the numbers down we can get them down to a manageable number and the earthworms might make a recovery. We don’t know how long these creatures have been on our site but I for one have seen one as early as May 2010 – though to be honest I didn’t know what it was and just assumed it was native. But the fact that we’ve designated several central plots as ‘Boggy’ from the get-go indicates that they may have been in the field for some time. In any case, all we can do now is to grin and bear it. Due to the fact that material is no longer being pulled down from the surface and into the soil means that ‘No-dig’ gardening will not be an option for us. 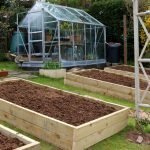 It also means that everyone will need to actively dig in a good amount of organic material each year to keep the earth well drained and fertile enough for gardening. Though so far only officially reported only on the Isle of Man in Laxey, I have now heard rumor that New Zealand Flatworms have invaded gardens from other parts of the island. Slimy and brown in colour, they have a creamy rippled edge and are often found curled up in a circle the size of a fifty pence piece. But since they are really only active at night, you might not ever see them unless you look in dark, damp areas such as under rocks and plant pots. The usual indication of their presence, however, is a general absence of earthworms in the soil. We have also found that dead grass in the bottom field of the allotment is not being absorbed back into the ground and is instead drying out and lying in a thatch at the base of new grass. This may also be an indication of the flatworm since normally earthworms will help to bring this rich plant material down into the ground. Though this has not been very happy news with us gardening at the site, it’s not really the end of the world. Everyone’s plot is springing into new growth and both my plants and soil look healthy and rich. Through active management of the pest and the earth we can continue to improve the situation and to help encourage earthworms to make a comeback. In a world where we exchange exotic house-plants and vegetable varieties across oceans and continents it’s not really a surprise that unwanted wildlife will hitch a ride as well. Gardeners across Ireland and Scotland have been learning to live with the New Zealand Flatworm over the last forty-odd years and now it’s our turn to do the same. We’ve had new Zealand flatworms on our allotment site for years.. we only see them occasionally, but rarely see earthworms either. We have however, been practising no dig methods for about 8years, and find that our soil is in great condition, there’s no need for earthworms to incorporate the compost, there must be other processes that do this instead. In the recent weather fluctuations, we’ve found our soil, as opposed to plot holders who dig, has a good ability to withstand excessive rain and prolonged drought. Its possible that we would get higher yield with earthworms, but we do get pretty good yields, and don’t have any way of testing how much effect it makes..
Ive just moved to a new house and garden, I had great plans, now however since finding the flatworm, and no earthworms, I’m having to think again. 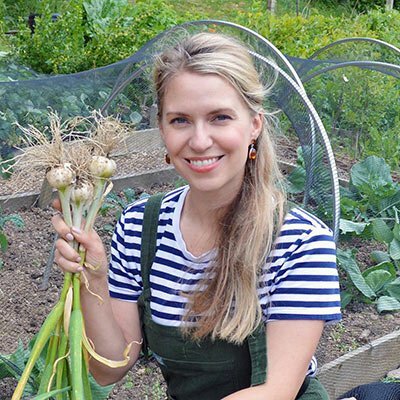 It’s ok if you are on an allotment as your fellow allotmenteers will join you in the fight. How do you tell your new neighbours that they should be on the look out for a beastie that most people would find disgusting to go near. I showed one to one neighbour and when she saw it in the jam jar waving about she backed off. I’m trying to catch as many as I can find. I’ve ordered some coir compost as it seems full of good organic matter. Hoping it will keep the soil aerated a bit. I’m having to add grit when planting some plants as they are suffering poor drainage. I saw someone suggest diatomaceous earth. However, that can kill certain good bugs too. If bees get it on their wings it can kill them. Perhaps Someone in New Zealand might see this post and help us with this problem. I've been fighting these horrible creatures for 3 years. Some weeks I would kill 20 or more in my salt pot. This year I've seen a grand total of 2. My lawn is covered in worm casts and my compost bins are awash with worms. I assumed the decline was due to the long cold winter and I've no greenhouse or other accessible shelter. Did you have a convenient winter shelter for your pests? Interesting idea – I'll give it a go! Very interesting. I've never heard of these. Wouldn't diatomaceous earth be of some help? True but it does seem to happen much more now with worldwide shipping and travel. It's sad sometimes too…such as with native Red Squirrels in the UK. American grey squirrels were brought over in the 19th century and have been out-competing the native ones (which are adorable!) ever since. Do you have any invasive species in your part of the world? It seems a shame but I think this is the way plants and animals have been getting around since the beginning of time.